The region of Etzatlan, Jalisco, West Mexico, Ameca Gray style. 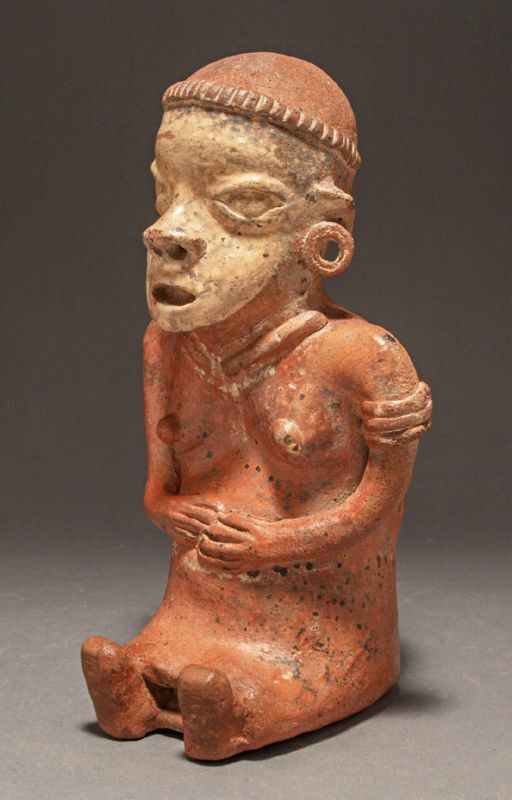 Provenance: A Private San Diego County Collection of Pre-Columbian Art formed in 1969. This seated female figure, with finely detailed features highlighted by rare and well-preserved white facial pigment, holds both hands against her probably pregnant belly.